Dress Up Game. 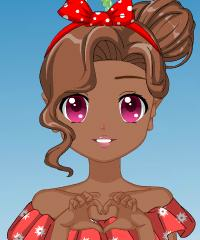 Anime Princess Avatar Creator Game. You can Create and Customize this Cute Girl the Way you Want in Anmie Style in the Slightest Detail. Go Play and Create Your Own Elegant Princess. Try as Well the Popular Disney Heroine Creator Dress Up Game.